Our retail space helps fund & support the organization. Our retail space is focused on the supplies that artists need most. We aim to sell quality products at affordable prices, so that artists can have access to what they need. Our stock is always changing, so check back frequently! Current hours for the retail space are Tuesday-Thursday 2 PM - 8 PM. Also open during events. Extended holiday hours coming soon. Many artists create on surfaces beyond canvas. 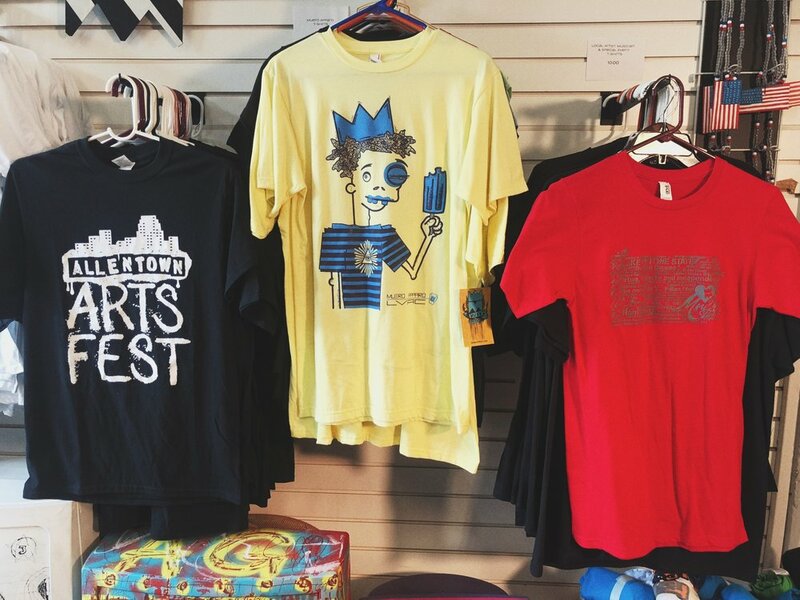 Our selection of merch & apparel contains a selection from local artists & companies, as well Alternative Gallery endeavors. Browse our selection of music containing independent releases as well as the classics!